Neerja is a film which will bring tears to your eyes. It is a tribute to India's braveheart Neerja Bhanot , who sacrificed her life to save lives of other passengers. Certainly, a story which deserves to be told a million times so that everyone can admire her bravado and bow their head in immense respect. 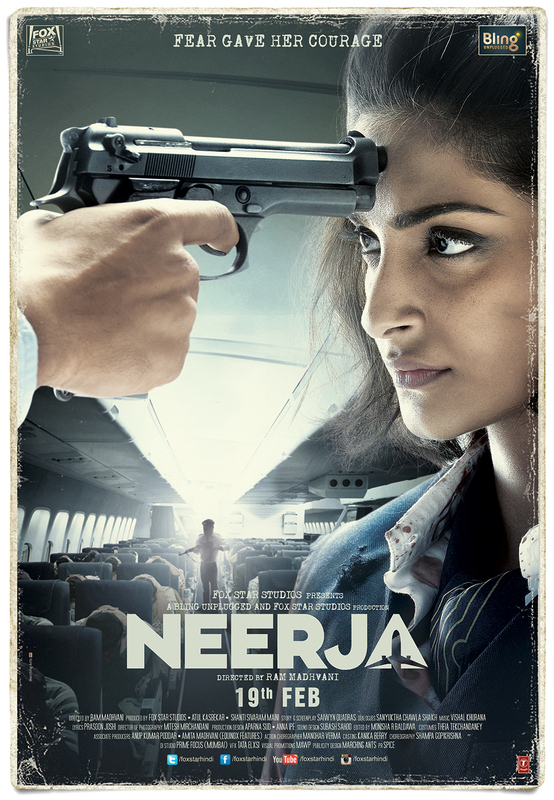 Neerja as a film scores very high on emotion but falters on execution. Kudos to marketing team of Neerja, who pulled every string to create sensation in the media about this story. Not only every news channel is airing their own version of documentary but they even got interviews of Pan Am 73 survivors. They have cached in every human emotion to garner enough empathy towards the film. This is a good starting point and would be a crowd puller in cinema halls but it can't be a replacement to a movie well made. Plot of the film is like an open book and audience know it by heart. Screenplay, dialogues, performance and direction is what can make or break this movie. I personally liked the Screenplay, especially movie starting on 2 parallel tracks, one with Neerja thread and other one on terrorists thread. You'll often see flashes of flashback to Neerja's earlier life challenges and comparing them to current situation. However, in a bid to show authenticity all the dialogues in terrorists were in Arabic/non-hindi laced with subtitles. I appreciate director's thought but it was a bit pain to make a sense of all the chaos. All the dialogues lacked luster and sounded like a very routine conversation. Sonam Kapoor bagged a dream role, where entire movie revolves around her. Even a slight effort would have given her accolades. But alas, she is consistent on her mediocrity, playing a daredevil role like a sissy. 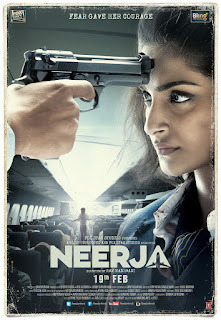 Neerja definitely demanded a much more fearless performance which Sonam Kapoor is incapable of. I would have expected someone like Anushka Sharma or a younger version of Sushmita Sen to do this role. Shabana Azmi and Yogendra Tiku's performance lacks a punch despite of being such senior actors. Direction of Ram Madhvani is average and there isn't anything worth appreciating. His immaturity is quite evident and he proved to be just another rookie. There isn't much scope of music, cinematography, sets and costumes as per the script. Right from the first scene, director is reminding audience again and again, this girl is going to die..this girl is going to die. For e.g. Brother saying "Read this magazine later on, as if you are going to die". Mother saying "Where is that ring, I made for your safety. God forbid if something happens to you". Well based on Neerja Bhanot's character and her being inspired from Rajesh Khanna's Anand character, film should have been made a little more lively instead of morose. Something on the line of classic Anand would have made this film even classier. Verdict: Watch it for the emotion and not performance. Neerja Bhanot's story is deserved to be told to every Indian. Even with half-baked characterization and its glitches, movie will make you cry. Much better than other alternatives like Fitoor and Sanam Re. I must say a very good timing for Neerja. ------------ Copyright © 2015 BollyReviewsNow All Right Reserved ------------. Picture Window theme. Powered by Blogger.